While vacationing on the coast in Kenya this summer, we were very fortunate to stay in one of the rare foreign-owned houses built in the traditional Kenyan way using galana (slate) and featuring a round makuti, thatched roof. We were also fortunate to have the only climbable water tower in the neighborhood, which allowed us to not only people watch ( 🙂 ) but enjoy some of the most amazing 360 views. I used to climb the tower early each day to enjoy sunrise and quiet morning meditations. The sun would always rise shedding light onto the beautiful thick forest neighboring the house. And I would hold my breath in awe and fear while observing an enormous shadow that would rise with the sun and fall onto the forest. Interestingly, our house was nicknamed ‘kivulini‘ by locals, which in Swahili means shade or shadow. But for them, they explained, it meant ‘a place that provides protection’. When asked protection from what, they hesitatingly replied: from strong winds… What about the shadow, I wondered, but didn’t ask anything more at that point. I continued to observe the forest daily surprised that I could not distinguish any single tree, plant or other living being. The whole forest behaved like one being. Its energy appeared very compact and dense, giving the impression that the forest was somehow shielded. It seemed to me that even the sunlight could not permeate the invisible protective shield but only shine off its surface. Then one day, we asked help to remove a humongous insect sitting comfortably on the edge of the sofa out on the porch. Our local host told us that while the bug is harmful to the palm trees in the garden, it had to be returned to its home next door, the Kaya forest. My heart beat faster, the strange forest has a name! And a pretty one too. I learnt that a Kaya forest is a sacred forest that provided protection to the ancestors of the Kenyan coastal people called the Mijikenda. The oral tradition relates that the Mijikenda people fled their original Singwaya homeland (today’s southern Somalia), in the 16th century, and found refuge in the thick forests of coastal Kenya. In the traditional mother tongue of the Mijikenda, Ki-Digo, Kaya means home. Kaya used to be one extensive forest that covered the whole region but nowadays it consists of 50-60 patches scattered along the coast. The Mijikenda count nine tribes (the Giriama, Digo, Duruma, Rabai, Kauma, Ribe, Jibana, Kambe, and Chonyi) each culturally and linguistically distinct, and each having their own Kaya. Kayas were inhabited until the 19th century, and as of then have only been used as sacred places of worship and communication with ancestral and nature spirits. Kayas are traditionally to be entered only by the community elders. Limited access is granted to local people when taking part in group ceremonies and prayers. White foreigners called ‘mzungu’ were not allowed into the sacred forest. Today there are self-appointed (i.e. volunteer) Kaya forest gate keepers. They act as forest guardians who know the forest, grant permission to enter and act as forest guides and mediators between the man’s world and the world of spirits. Luckily she-the shaman tracker (in me) was reminded that she once learnt that ‘nature has its rules, and as long as she knows and respects the rules she will be safe’ (read my post about meeting an animal tracker in South Africa). I was fascinated by Kaya but I did not visit it. My tracking with Kaya revealed a difficult past for the region, especially in regard to slave routes. Kaya has been protecting the innocent and mulching heavy energies of the region. Coastal Kenya today is a nice mix of cultures, languages and religions coexisting in harmony. Kaya forests are also a rich and unique ecosystem with an exceptional biodiversity, and a wonderful example of how nature and culture interact as one. In July 2008, 11 Kaya forests were recognized as UNESCO World Heritage Sites. Kenya National Museums is appointed custodian of the cultural heritage in Kenya. There is a number of other organizations involved in preservation of Kayas. 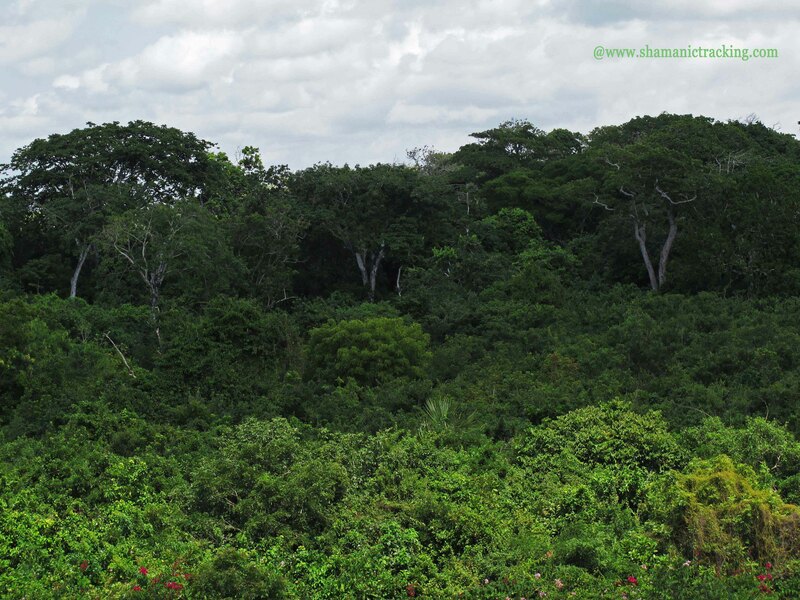 Unfortunately new Mijikenda generations are becoming increasingly ignorant of the significance of the sacred forests. Kayas are being (ab)used for firewood and building and cleared for cultivating soil and livestock. There is also increased pressure from the electrical industry and tourism, especially where Kayas are close to the beaches. One such Kaya, Kaya Kinondo, has been open to tourists for visits and volunteer opportunities in an effort to increase awareness. I decided not to visit it after the interaction I had with our local Kaya. I have been pondering ever since, how do we conserve biodiversity and cultural and social aspects of sacred places such as Kaya, while also preserving the magic and spirit of it? This entry was posted in Africa, conservation, nature, peace, planet, shamanic tracking, shamanism, spirit, travel and tagged Africa, forest, home, honoring, Kenya, mother nature, nature, sacred, shaman, shamanic tracking, travel, tree. Bookmark the permalink. Okay, so you disappeared to Kenya! That’s where I first fell in love in Africa in a HUGE way! Welcome back. What a perfect place to spend a summer, next to a sacred forest. In Canada our local government protects sacred places by posting signs with restrictions as to where visitors can and cannot go, and asking them to respect the protected environment by not disturbing it or removing anything. Of course there is a fine line between progress and sacredness…when it comes down to making money for commercial purposes, the protected/sacred place is often compromised. Sadly, most people are not as respectful as you, or they do not understand the value of sacredness..